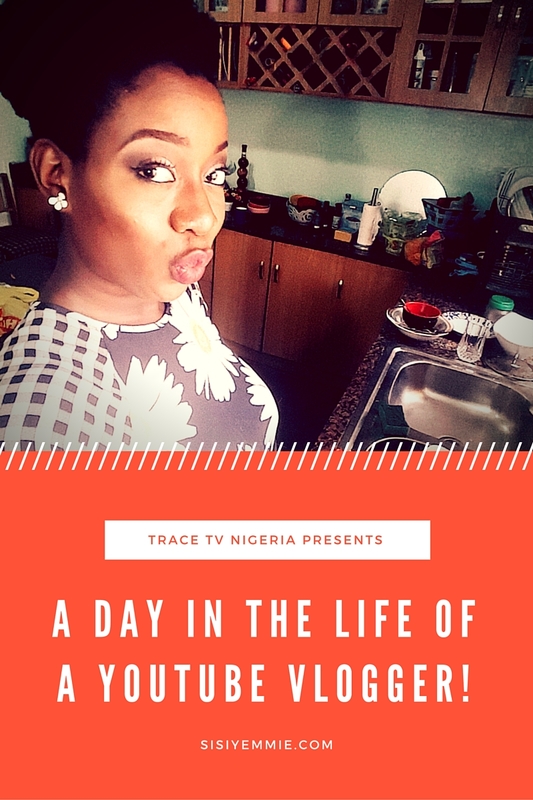 SEE A DAY IN MY LIFE AS A YOUTUBE VLOGGER ON TRACE TV NIGERIA! Yes ke! I'm on TV! I was approached by Trace Urban Nigeria a few months ago to document what a day in my life looks like, not like I don't show it on my vlog weekly sha. If you've not been following my Sisi Weekly Series then you dey miss sontin. It was exciting and a lot of work to film with a crew, they were in my house as early as 5:30 am and did not leave till almost 12:00 am! I had to go everywhere with about 5 of the crew, always checking the mic, and always so self conscious...abeg Kim Kardashian dey try. Youtube vlogging is easier, it is usually just me and my phone/camera...I enjoy it. I love sharing my experience, and it is fun to be able to rewind what I did a few weeks ago or even this time last year! If you want to see what a day in my life looks like then press play! Yesss sisi Yemmie. Yu na do well oo. May God continue to pour blessings on blessings on you and your family. Amen! You inspire me. Amen! Thank you so so much babe! I have been waiting for this video, Sisi! Well done! You've come a long way with blogging. Such a delight to watch. Oh thank you Precious! Stumbled on your blog last night from BN! Nice Sisi,enjoyed it..Hopefully with time people in Nigeria will understand these things properly.Going out and videoing yourself or talking to the camera you see people looking at you crazy.We are always the last in the know but hopefully we will come out of this one soon. Awww thank you. Yes, it is relatively new in Nigeria, hopefully that's a good thing for us. It's not easy going about vlogging, but I love it! Thank you so much and Amen to CNN! Yes oh, one dat we will get there! Yes,u tube is the in thing now. Practically everyone in U.S/ UK have a channel. Its become very competitive and almost overkill. I suggest to keep a plan b. Because soon enough it will be played bout. This is amazing Sisi Yemmie! Hey sisi yemmie, I just want to say you are an amazing woman and you have an amazing family. May God continue to bless and protect you guys, Amen.